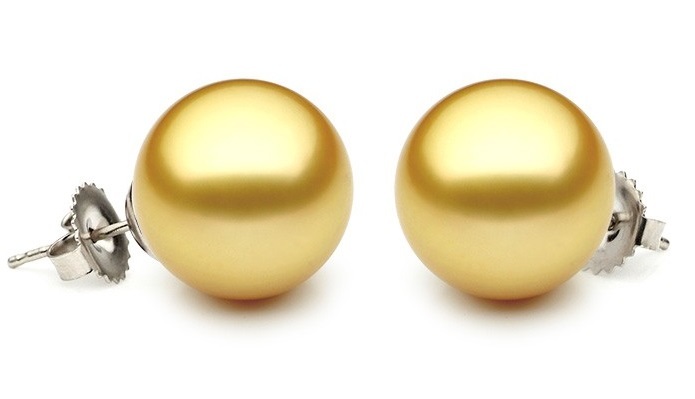 Elegant Golden South Sea pearl stud earrings. Available in 14kt white or yellow gold. Please let us know your metal preference. Color can vary.